Hypertrophic Cardiomyopathy (HCM) is a disorder in which the heart muscle becomes abnormally thick for no apparent reason. This thickening makes it difficult for the heart to effectively pump blood. HCM is one of the most common genetic heart conditions affecting more 1 in 500 people in the general population. While there is no cure, new treatments can successfully manage this condition, greatly improving the quality of life of people with HCM. 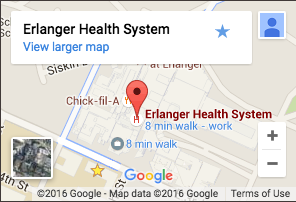 The electrophysiologists UT Erlanger Cardiology are leaders in the diagnosis and treatment of HCM and other heart rhythm disorders (arrhythmias). Contact us to learn more.